Probably the least exciting part of your bodyboard session is paddling out through the oncoming waves. There are some simple tips that can make this task much easier. This video dissects the paddle out to save you time and energy. With the ultimate goal of improving your wave riding! Why not join us for some bodyboard coaching in the UK or one of our international trips and we can help you improve all aspects of your riding. Previous articleMay Bodyboard Coaching Weekend – Let summer commence! 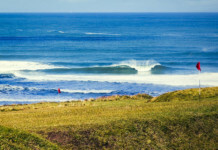 Next articleNewquay bodyboard coaching weekend – All systems go!